The Physics & Astronomy Colloquium Series presents Brent Park, of National Nuclear Security Administration, on “Science Behind Nuclear Nonproliferation and Nuclear Security” on Friday, Sept. 28, at 4:10 p.m. in Clippinger Labs 194. Connect with Park on LinkedIn. 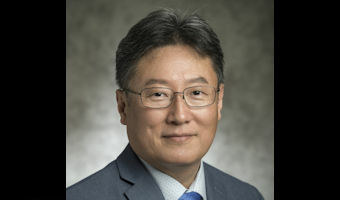 Park earned a Ph.D. in Physics in 1991 from the College of Arts & Sciences at Ohio University. Abstract: The Department of Energy’s National Nuclear Security Administration (NNSA) works closely with multiple national laboratories, plants and sites to best achieve its missions. These labs develop advanced technologies, improve existing technologies, modernize our infrastructure and conduct research across scientific fields. Much of this work is critical in allowing the Office of Defense Nuclear Nonproliferation achieve its mission and core objectives. This talk will cover the science coming out of the NNSA and the way in which it is applied to nuclear security.